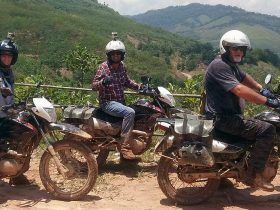 Ride into Vietnams famed Northern Mountains, where spectacular scenery, breath taking views, unspoiled nature and colorful ethnic groups unravel in front of you. 8 days/8 nights – Ride into Vietnams famed Northern Mountains, where spectacular scenery, breath taking views, unspoiled nature and colorful ethnic groups unravel in front of you. Layer upon layer of blue-green mountains reaching out as far as the eye can see; jagged black rocks jutting out of the hazy green landscape and sheer cliffs descending dramatically from the edge of narrow mountain roads. This is one spectacular ride! Join one of our upcoming scheduled tours or depart any day with a minimum of 2 people. Your tour leader will meet you at your hotel in Hanoi and take you to check out the bikes. You have free time to explore the hustle and bustle of the Hanoi Old Quarter before dinner before you jump onto the overnight train to Lao Cai. Waking early on the train to the smell of fresh mountain air we arrive in Lao Cai. 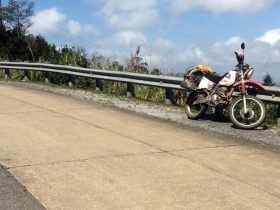 After breakfast we hit the road and ride straight into the glorious northern mountains of Vietnam. We take windy roads up into the hills before we head through Bac Ha, famous for its traditional minority markets. After a stunning day of riding we end up at Pan Hou Village. 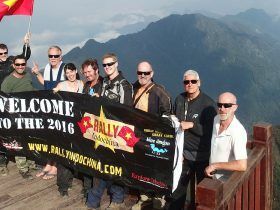 Today’s ride takes us into the far remote north eastern regions of Vietnam close to the Chinese border. Remote villages and country tracks are the order of the day before we arrive at Nam Dam village for a unique stay in a traditional Dao minority Village. Internationally recognised by UNESCO the Dong Van province has karst geology only found in this region. Riding through the Karsts seeing local life unchanged for centuries is an experience you’ll never forget. Today is a day to rest and enjoy the tranquility of the northern mountains. You can visit the Dong Van market or go for a short ride and go to the most Northern point of Vietnam and the Hmong Kings palace from the French era. We follow sections of Highway 4 made infamous during the Independence war against the French twisting through the mountains before we arrive in Cao Bang. We head to Ba Be Lake National Park from Cao Bang through spectacular limestone karst. After arriving at Ba Be we jump on a boat and cruise the lakes stopping at the “The Pirates” rice wine shack to sample the local brew. Rising early to the morning sounds of rural life we jump on the bikes for our final days ride back to Hanoi. We wind out of the mountains into the rice growing areas of the Red River Delta before hitting the hustle and bustle of Hanoi. After checking to our hotel we’ll head out for a final dinner of Hanoi specialties. 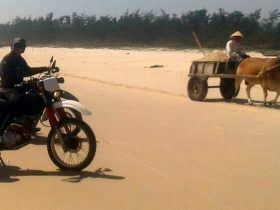 Private Tour: 1,150,000 VND (50 USD) / day / group Please leave this field empty. 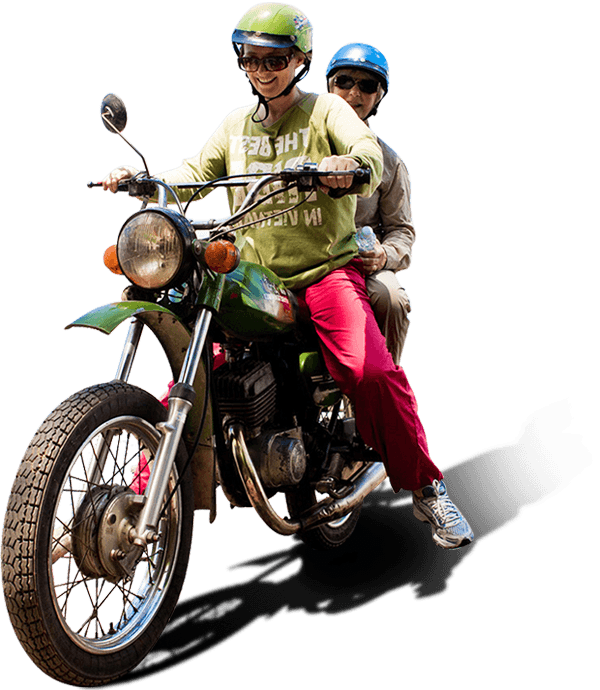 4,600,000 VND (200 USD) per day per person on Honda XR150 or similar. Upgrade to Honda CRF250 available at 30 USD surcharge per day. Prices are based on a min of 2 people departing. Prices are based on twin share / double room accommodation. Single rooms available on request (additional charge). Private tours available on request at an additional 75 USD per day surcharge.